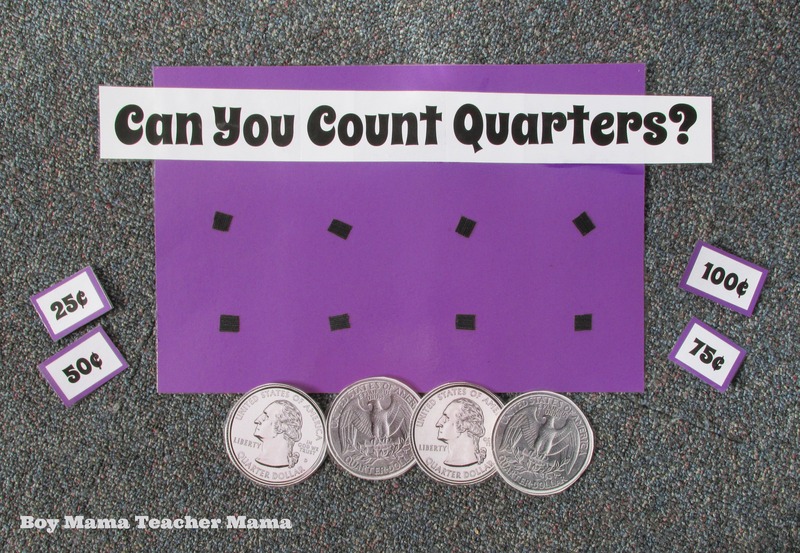 Learning to count quarters is not an easy task for first graders. And while some can do it by memory and others can figure it out mathematically, there are still others who cannot do it at all. I created this visual aid and teaching tool to use in my classroom to help my students. Cut a piece of poster board or other paper to your desired size. Print the FREE templates above and enlarge them to fit your poster board or paper and cut them out. Glue the words “Can you Count Quarters” to the colored poster. Print 4 quarters- 2 backs and 2 fronts. 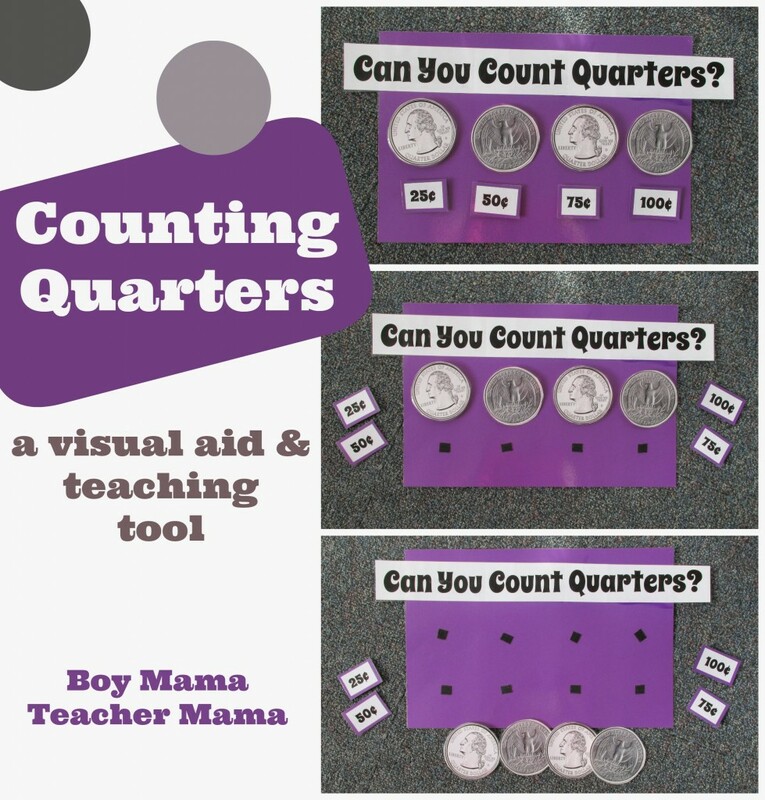 Laminate the coins, the coin values and the poster. Put velcro on the backs of the coin values and the coins. Now your chart is ready to use.! I first introduced this chart to my students by reviewing the name of this coin and looking carefully at the back and the front of the coin. We talked about who is on the front of the coin (George Washington) and what is on the back ( nowadays the states ). I then asked my students how much a quarter is worth. They all knew that a quarter is 25 cents. We then created the chart together. I first put on quarter on and put the 25 cent sign below it explaining that one quarter is 25 cents. 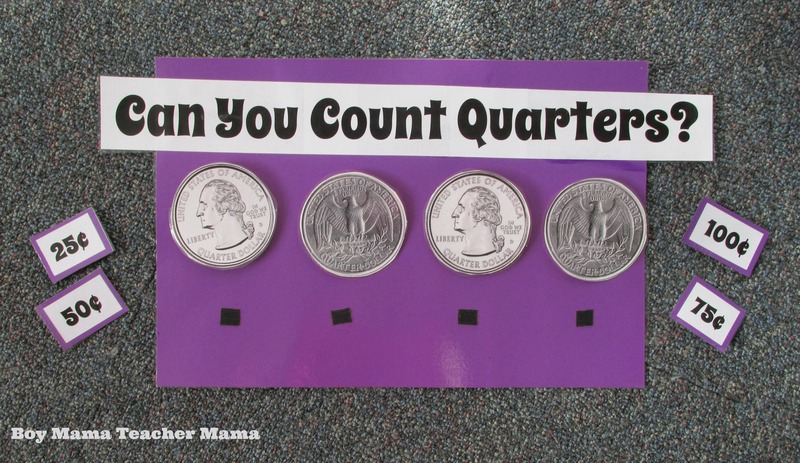 I then put the second quarter on and explained that two quarters are 50 cents and we added the 50 cents sign below the second quarter. And we continued this way until all 4 quarters were on the chart. Some days when the students arrive, the chart looks like this and we count the coins as a group. Other days, it looks like this and we create the chart again from scratch! 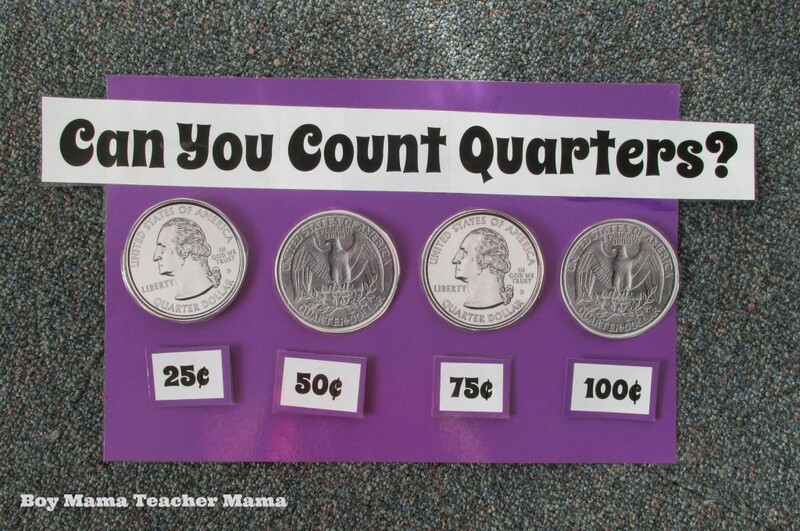 I often find my students referring to this chart when doing their math or when playing with coins at choice time. They really like it as well and several of them put it on their list of “must shows” to their parents during parent/teacher conferences.